Every one of us has a rifle that we look at in the safe and can’t help but reach for when it comes time to go hunting. Here are some of our favorites that you can find at Sportsman’s Warehouse or on their website. You can now order a rifle online and then pick it up at the store, this might just be the best way to beat the holiday season crowds! Rifles make memories, memories make a favorite rifle. The fall of 2018 is full of memories with my Savage Lightweight 110 Storm rifle and as such it will be a rifle that I look forward to making many more memories with. The 5.6 lb before scope light weight rifle served us well in Wyoming’s high country on a pack in early mule deer hunt where Scott Reekers harvested his buck. 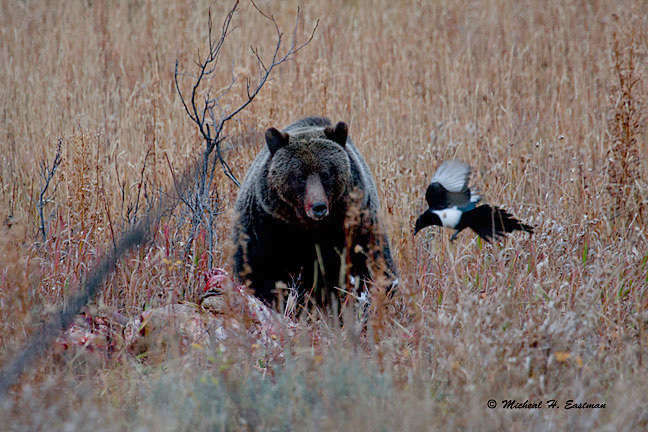 Then it quickly transitioned to Colorado’s high desert and knocked down an antelope buck. 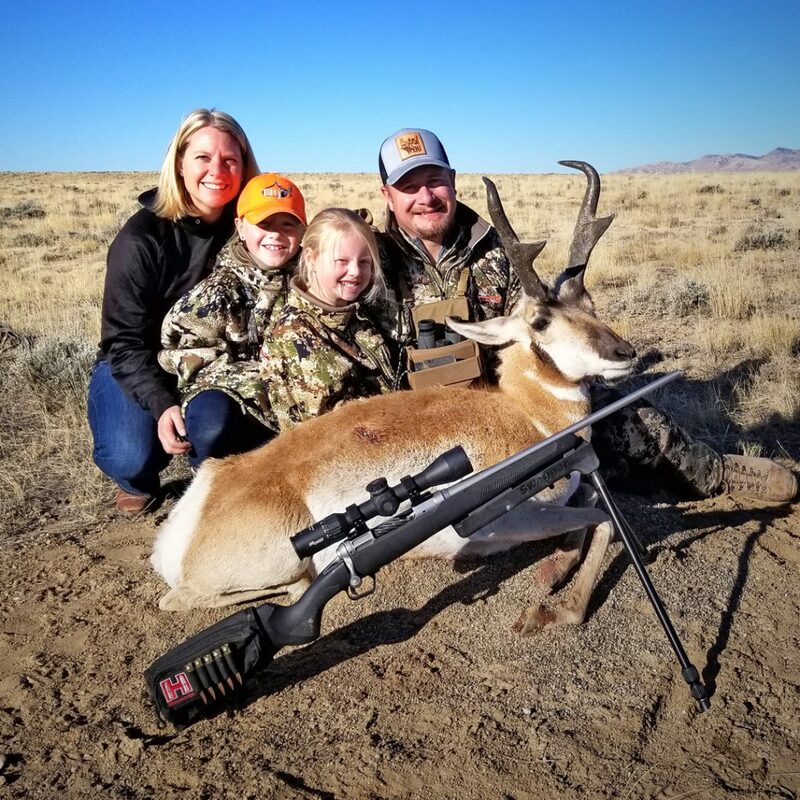 After a short break I put it to use again on my mule deer hunt in southwest Wyoming where the easy trigger squeeze of the AccuTrigger and the fit of the sporter style AccuStock made for a comfortable shot. This hunt tested the finish of the rifle with nasty snow storms and wet conditions, the finish is no worse for wear and still catches the eye. 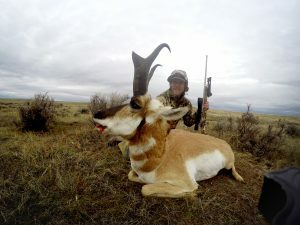 After my Wyoming mule deer I had the pleasure of taking my girls on a Wyoming antelope hunt. We made family memories that will be passed along with this rifle. Finally I closed out this season with a whitetail buck from Nebraska on a lifelong friend’s newest property where the hunting is going to be good for many years. I plan to make just as many memories next fall and the Savage Lightweight 110 Storm will be there with me. 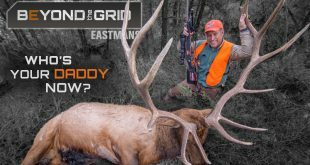 Over the years, I have used about every high-powered rifle caliber on the planet for big game hunting. I’ve fallen in love with a few over the years, and the one I seem to keep coming back to is the .270 WSM. Big enough to effectively take an elk-sized animal, like the Marco Polo I shot in 2017, yet small enough to cleanly take smaller big game animals and also not beat you up too bad on the range, this round in Savage’s new Storm 110 is a tough combo to beat! The rounds we’ve been putting it through this fall are cooking out of the barrel at a whopping 3100 fps!!! Did I mention this is factory ammo, not souped up custom loads? 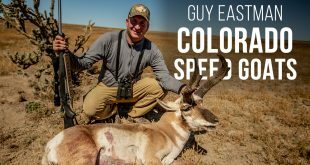 In early November, Eastmans’ team member Brandon Mason even took it up to Alberta to hunt trophy mule deer and, as you can see for yourself, it did the job nicely. What makes the new Savage 110 Storm rifles so impressive no matter the caliber is the addition of their AccuFit system (adjustable length-of-pull and comb height on the stock) to their already killer AccuTrigger and AccuStock rifle features. Out-of-the-box accuracy has been the Savage claim for years, and now they can add customizable fit to their repertoire. The physical differences between men and women became ever more apparent to me after a hunting season of uncomfortable shooting behind a friend’s loaner rifle. Determined to improve my experience at the range and afield, I discovered the solution in the 11 Lady Hunter by Savage Arms. This rifle is truly designed to meet the needs of the female hunter. At 12.5 inches the shorter length of pull combined with a scaled-down, slender grip makes the rifle feel at home in my hand improving my trigger squeeze and accuracy. My favorite feature is the contoured raised comb. It has drastically increased the speed at which I can shoulder the rifle and get crosshairs on my target. Even though it features a walnut wood stock, in my experience the rifle isn’t a burden to carry for miles on an all day hunting excursion as it weighs in at only six pounds without optics. I’ve now enjoyed three successful hunting seasons with the 11 Lady Hunter and my shooting proficiency continues to advance plus it’s just more fun! The first rifle I ever owned was a Weatherby Vanguard in .30-06. 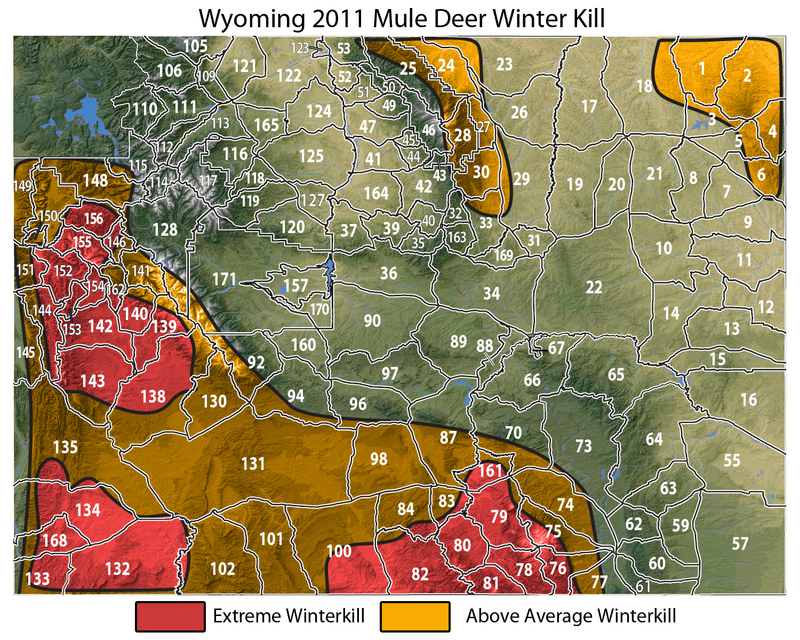 I harvested my first mule deer with that rifle and it has been a part of many successful elk hunting trips. 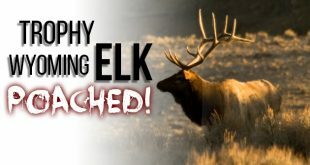 My next rifle was a Weatherby Mark V chambered in .300 WBY that helped me harvest my first bull elk and was what I used to harvest my holy grail buck of 30 inches wide. Both rifles are shooters, straight from the factory and with this combo I arguably have a rifle capable of ethically putting down every big game animal in North America, even the most dangerous game. The Vanguard loves factory ammo and with a little cooking my Mark V puts the 180 grain bullets with a hot load at 300 yards right on top of each other. All that said, I have a hard time not looking at Weatherby rifles when I visit Sportsman’s Warehouse as I know exactly what I will be getting! 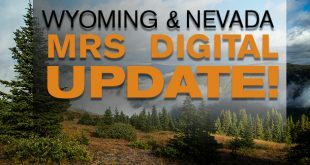 Any model of rifle from Kimber has proven to be the perfect mountain hunting rifle for my style of hunting, but I chose the Kimber Mountain Ascent in 280 Ackley Improved. 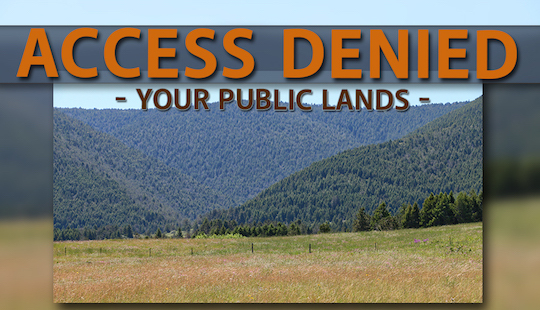 As a backcountry hunter I am always ounce counting and the biggest appeal to me is the weight of the Mountain Ascent. The rifle weighs less than 5 lbs naked and 6.8 lbs fully loaded with a 4-16x scope, bipods and sling. All with the ability to maintain MOA accuracy. Being stainless steel, the Mountain Ascent can withstand any conditions I throw at it in the field. The benefit of the 280 AI is the steep shoulder which gives you higher velocities than the 280 rem and slightly less than a 7mm Magnum. 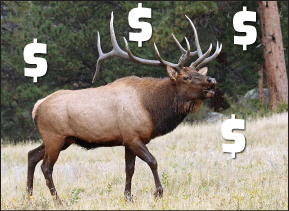 Which means it is plenty of rifle for any big game animal in North America without the cost of heavy recoil. 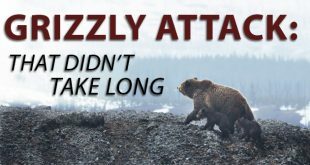 Until recently, factory ammo didn’t exist but Hornady and Nosler now have custom ammo loaded in 162 and 140 grain bullets. If you’re looking for a semi-custom rifle there are lots of options out there, however, there aren’t many places where you can go and put your hands on one of these beauties. Whether it be the new Bergara Premier Approach, Cooper Firearms Backcountry, Christensen Arms Rogue, Nosler M48, or a Seekins Precision Pro Hunter, Sportsman’s Warehouse has you covered, literally. Walk into just about any location and you’re likely to be able to put your mitts on a semi-custom rifle from one of these top manufacturers. Or, even better, check out the online gun selection to buy online and pickup at your closest Sportsman’s Warehouse location. There just isn’t anyplace else where you can actually handle many of these brands before buying and if you’re going to drop that kind of coin it’s nice to be able to handle the merchandise first not to mention talk with a sales professional that actually understands what sets semi-custom high end rifles apart from the rest of the pack. So if you’re in the market for an aspirational rifle Sportsmans’ Warehouse or www.sportsmanswarehouse.com needs to be your first stop, either in store or online. 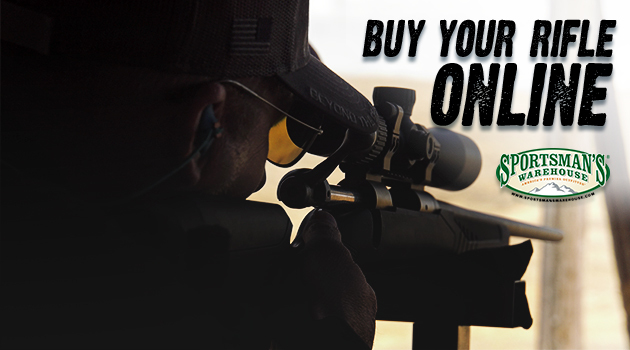 Getting your hands on high end performance rifles has never been easier.